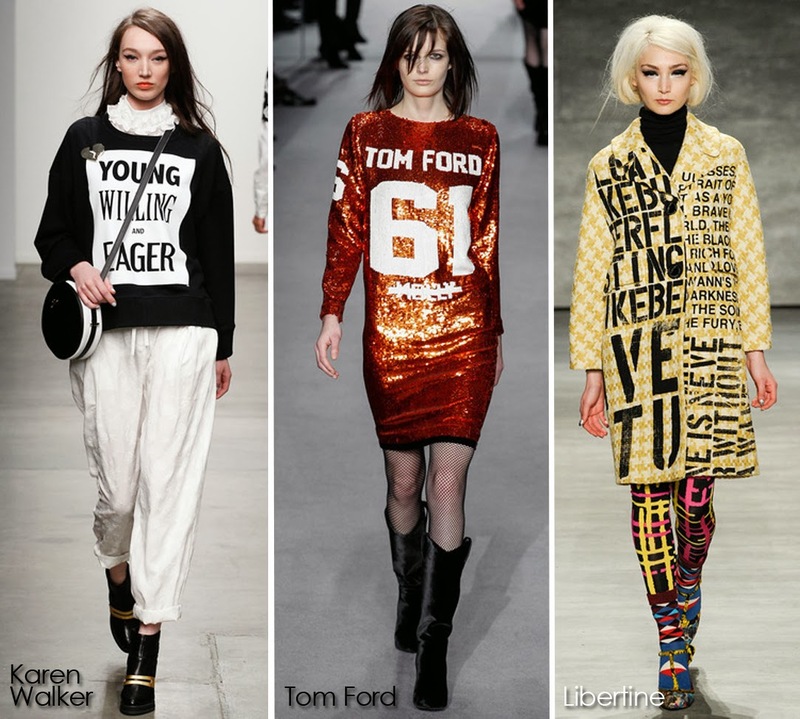 Slogans, phases, quotes and all of the sorts of wording were plastered on a few looks during this Fashion Month. Designer Tom Ford dive into this trend by playing up the Jay Z's song Tom Ford, with sequin dresses with "61" which is the birth year of the designer. It was slight comical with the word Molly crossed out. If you need a refresher course listen to the song here. Wording on a garment is usually associated with the junior market but it's crossing over for the older consumer. Other than that wordplay is fun and in all good fashion. What do you think about the Wordplay trend?